We support SMF. What is SMF? 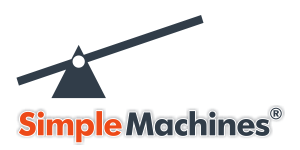 Simple Machines Forum, SMF in short, is a free, professional grade software package that allows you to set up your own online community within minutes. SMF is a next-generation community software package and is jam-packed with features, while at the same time having a minimal impact on resources. Description: What is SMF Hosting? Start Building Your Website Today! Hosting as Low as $2.95/mo. GET STARTED!